Oh the joys of high school complete with puberty, acne, raging hormones, goofy hair, fashion fads, drivers ed, awkward dances and all the other fun/scary/embarrassing moments. If you are like most folks, your first exposure to working out was probably in high school. As a result, you probably picked up a lot of bad habits. The reason most adults fail at training is because they are still trying to work out like a high schooler. All of a sudden these inferior training methods fail to deliver. And those 2 hour gym sessions aren’t an option any more. However, if you are willing to unlearn what you learned about working out in high school, you can burn fat, build muscle and improve your sport/life performance while keeping up with demands of adult life. It is time to stop working out like a high schooler and start training like an adult. For the record: this post is not at all intended to make fun of teenagers who are trying to learn how to workout. Any person who gets off the couch and takes action has my respect. It is also not intended to belittle the amazing and insanely challenging job that high school PE teaches and coaches do. It is simply to show adults how to get better results with their training. The curse of being 18 is that you think you know everything and you are invincible. You think you can eat whatever you want and do whatever you want. Eventually reality catches up to you. If you want to build and maintain a great body for life, you have to leave the invincible fantasy land. Yes train hard, but train smart so you can sustain a high level of training for years to come. Too many people either don’t warm-up or they take their whole training time to do their foam rolling and correctives. The former can get you hurt and that latter will get you nowhere closer to your goals. Invest 5-10 minutes at the start of your session to get your body ready and then get on with the real training. When you first start training progress is rapid – even if you follow a stupid program. However, as you advance things start to slow down. Over the long-haul of your training life, there will be peaks and valleys. There will be times when you make great gains and times when you seem to be going nowhere. There will be times when you can really push it and times when you need to back down. There will be times when life is in order and times when it is spinning out of control. If you try to fight your body, you will lose every time. If you learn to work with your body and adjust your training as needed, your body will do what you are asking it to. A photo shoot for a bodybuilder or fitness model is run by skilled photographers, not skilled strength coaches. As a result, the photographer’s keen eye leads to the selection of exercises that make for a great photo. Exercises like cable crossovers and concentration curls work great for these photos because they are essentially a bodybuilding pose with weights. Then the teenagers go to their local gym, do these same exercises and get nowhere. Always remember, that some exercises make you look good while you do them and others make you good because you do them. Focus on the latter. In high school, many people come to the gym to show off. It goes far beyond the guys with insanely tight shirts and the girls who come to the gym wearing make-up and have their hair done. It also includes your exercise selection and technique. Many guys use more weight than the can. Then, they do all sorts of things (e.g. cutting depth, bouncing out of the bottom, using other muscles) to get the weight up. While these big weights may look impressive to those who don’t know training (those who do will mock or pity you), you are cheating yourself out of your gains. Your muscles don’t know how much weight is on the bar – they just know how hard they have to work. Make them work hard by doing the movement right. Then add when you have truly earned the right to do so. High schoolers often pick the exercises they are good at. If a guy is good at “Bench”, then that’s what he does. Successful adult trainees see the gym as a place not to hide, but to attack their weaknesses. Before you do any exercise, always ask WHY? Thanks to social media, we have countless people promoting themselves by doing really cool-looking exercises. Take the muscle-up for example. A few years back I decided to learn the ring muscle-up. As soon as I did my first one, I quickly got my camera and put it up on YouTube for the world to see. The next day (still pumped about the muscle-up) I was trying to convince one of my intern coaches to let me teach him the muscle up. He wisely asked me the most important question that you should ask yourself before you do any exercise – why? What’s the benefit? He had me. I knew that the main benefit to the muscle up for the non-gymnast is that it looks really cool. Yes there are times in certain sports (e.g. pole vault) where building strength and mobility through the transition part of the muscle-up (the part between the pull-up and the dip) can be helpful. However, the risk of injury to the wrist or shoulder is higher. Also, the transition phase limits your pull-up and dip performance. For example, I can do heavy weighted ring chin-ups and dips, but I can’t do a weighted muscle-up. For just building a bigger/stronger upper body, weighted pull-ups and dips are the superior, safer choice. Pick the best exercises for your body and your goals and always do a careful risk-to-benefit analysis. “Drop and give me 20!” We’ve all heard that one before from a well-meaning PE teacher or coach. However, the problem with this is that almost none of the kids in the class are strong enough to do even one proper push-up. As a result you see a bunch of sagging hips and a surprising lack of actual elbow bending. Chin-ups are often done with an excessive amount of chin lifting and an insanely small amount of elbow movement. Don’t get me started on all the high squats that are done in most high school weight rooms! Don’t assume that just because you have done an exercise for years you are doing it right. Push-ups, squats and chin-ups are all fantastic exercises – IF they are done right. Instead of trying to find cool, new exercises to learn, seek to learn more about the exercises you already know. Every time I’m in a mainstream gym I always see tone of people working really hard on really easy exercises. Anyone can go to the gym, but on their ugly training face and grind through burning reps of curls, crunches, chest flies or calf raises. However effective training is about first picking really hard and effective exercises and then working really hard on those exercises. While you don’t want to do the same thing all the time, you don’t want to be constantly changing things and always trying new exercises. Your muscles don’t need to be confused. 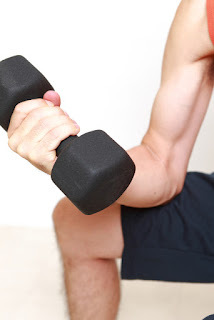 Once you have picked amazing exercises, stay with them for a while and focus on progressively adding weight to them. This is what makes you better. One of the greatest secrets to success is consistency. Consider your schedule over the next month. What can you realistically commit to? While I think 4x per week is ideal for most adults to get optimal results, 2 or 3 days a week consistently for months on end trumps a 4-day program done inconsistently. The reason many teens think the “need” to be at the gym for 2+ hours is because their workouts are completely unfocused. When you are pressed for time, make every training minute count. This is not a time to play on your phone, text between sets, watch gym TV’s, flirt, hang out, chat or show off. Don’t be a jerk, but be all-business when you train. Get in, stay focused, get out and get on with life. Go into almost any gym and you find skinny guys slaving away at curls and girls doing endless useless ab exercises. If all you needed for a six pack was crunches, everyone would have a six pack. If all you needed for big arms was a few sets of curls, every guy would graduate high school with 20” arms. 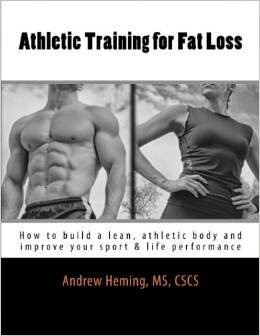 The fastest way to melt fat off your problem spots or to build up a bigger muscle is to work your whole body. Forget trying to spot-reduce or spot-build and think the complete package. Yes of course you can still do some ab exercises and some curls, but they should be a small addition to a bunch of really great big movements. Note: there is a time for specializing on certain muscle groups for size – this is when you are more advanced. If you were like me, you probably didn’t think much about nutrition when you were a teenager. If you weren’t fat, you must be okay – right? Many people develop bad eating habits as a teenager (i.e. when they are young and super active) that come back to haunt them later in life. Even the super-skinny teenager can wind up as a skinny-fat adult. Make sure the foods you typically see teenagers eating are rare treats for you. That 18 year old girl at the gym who has a perfect body (whatever that is) and does nothing but the stair master and crunches looks that way because she has great genetics and is 18. Give that same “routine” to your average 30-40 year old woman trying to get back into shape and it will fail miserably. The 18 year old guy who spends 2-3 hours a day 6 days a week at the gym can still make sometimes build some muscle if he has good genetics, lives at home and has a part-time, low-stress job. Remember that an 18 year old guy is naturally almost on steroids. Give that same routine to a guy over 30 who has a family, a mortgage and a demanding career and it will fail miserably. Don’t copy pro physique athletes. Unless you have amazing genetics, are using drugs, can work full time on your body and have talented photo shop artists helping you out, these routines won’t work for you. Look to people who achieve success while being in a similar situation to you and have helped others just like you. How about you? I invite you to learn your comments or questions below or on my Facebook Page.